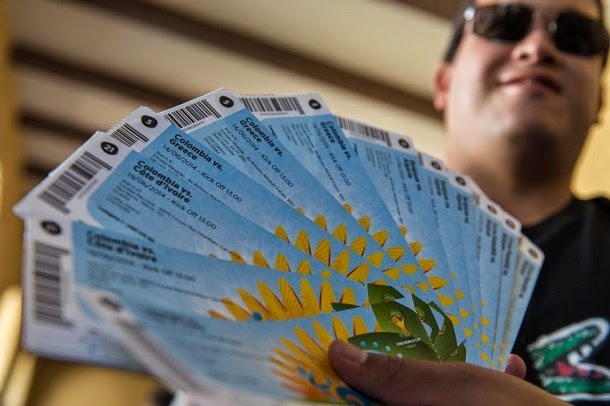 A high rank FIFA official was involved in illegal sale & trafficking of World Cup tickets. Rio de Janeiro police has dismantled organize trafficking ring that involved a high ranking FIFA official. The police investigation started three months ago and culminated with the arrest of eleven people, which ten of them happened to be Brazilian. The leader of this criminal enterprise was Mohamadou Lamine Fofaria. According to the chief officer in charge of the arrests and investigation, there is someone above Lamine Fofana that orchestrated the sale and distribution of hundreds of World Cup tickets for prices sometimes 1000% more than the face value. The officer in charge, Fabio Barucke also revealed that Lamine had a FIFA pass that gave him all access to every stadium, VIP zones and even the Copacabana Palaca, headquarters of FIFA at the World Cup. Lamine is CEO of a marketing company specialized in training athletes on how to handle the media. Atlanta Sportif International has pictures on their site of Lamine with many famous players like Eusebio, and Pele, but also famous Hollywood stars like Jack Nicholson & Sylvester Stallone. Lamine organized a party before the France vs. Ecuador, where former World Cup champions and other former players were given bottles of whiskey in the shape of a football cleat, evaluated in over 3 thousand euros per bottle. 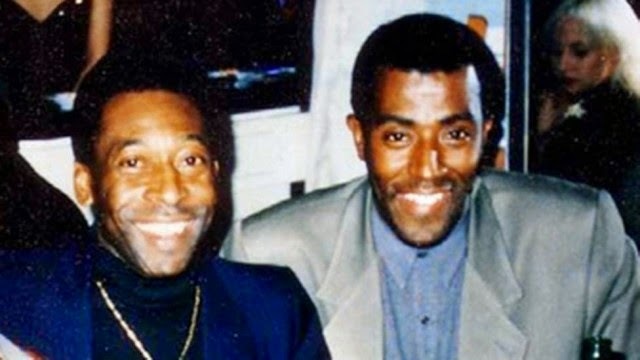 One of the former players was Ronaldinho’s brother, Roberto Assis. He has been identified in some of the police wire taps, asking for packages of tickets from Lamine. According to the local authorities, the process in place consisted in tickets given to non-governmental foundations or federations that were participating in the World Cup would not reach their destination and were redistributed by the criminal group to their buyers. This would earn them 800 thousand euros per game to a total of 70 million euros once the tournament is over. The investigation also discovered that this ticket trafficking has been in place at least since 1998. The FIFA official involved in this criminal ring has already been identified, but his name is not been divulged to the media. The name of the person in question was given to authorities by Jose Massih, lawyer for Atlanta Sportif International. According to the newspaper “O Dia”, it was Massih that explained to police how the crimes were committed and all the processes in place by the men involved in the redistribution of the ticket. The investigation has also extended to members of the Brazil, Spain and Argentinian FA, which made tickets available to family members, players and guest that went unused be available to this crime group for re-sale. FIFA marketing director, Thierry Weil has guaranteed that FIFA is collaborating with local authorities in all ongoing investigations, and hope the guilty parties are brought to justice. This is not a new situation for FIFA, former CONCACAF president and former member of the executive committee, Jack Warner, resigned from his posts in 2011 after being proved that he was involved in the illegal sales of 2002 and 2006 World Cup tickets. This is just the latest black eye that FIFA has to deal with, but considering their track record it won’t be the last.